Lisa Holbrook is President of Texas PTA, a statewide association whose 500,000 members passionately serve 1.95 million students in Texas public schools. She took office as the 52nd President of Texas PTA during its 2016 Family Engagement Conference in Dallas. Ms. Holbrook follows in a long succession of women leaders since the association was founded in 1909. During her two-year tenure as President, she has been instrumental in advocacy work at the state level for public education, as well as equipping PTA volunteers in the field with the best tools and knowledge for success. Ms. Holbrook has enjoyed a long career as an active PTA volunteer serving in various leadership roles. She is a past PTA President of Armand Bayou Elementary, Space Center Intermediate, Clear Lake High School, and the Clear Creek Community Council. 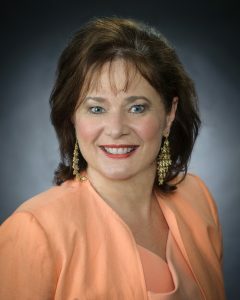 At the state level she has served as Region 2 Vice President, Treasurer, Second Vice President, and President-Elect, in addition to serving as President. She received her Texas PTA Honorary Life Membership in 1998, an Extended Service Award in 2004, and a National Lifetime Achievement Award in 2008. Outside of PTA, Ms. Holbrook is involved with numerous philanthropic organizations in Southeast Houston where she resides. She is the proud mom of two children, Caitlin and Travis, graduates of The University of Texas at Austin (2011) and Sam Houston State University (2016) respectively.